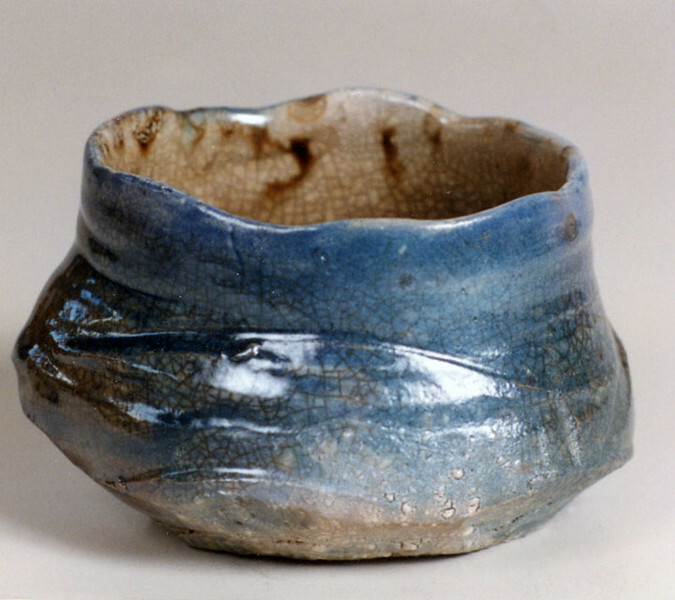 Bowl 9745, 1997. 3.75 x 6 x 5 in. Low-fire salt, smoked, with glaze. Wheel thrown and altered.